Here are the big movies hitting your local cinema this month! In a state policed by mindless police droids, a loveable self-aware robot is hunted down by powerful forces who see him as a threat to law and order. Neill Blomkamp of District 9 and Elysium directs. Julianne Moore’s Oscar-winning performance as a linguistics professor with early onset Alzheimer’s finally hits UK screens. Who’s ready for some maths? Anyone?! Ah well, X+Y follows an awkward teenage maths genius after he wins a place on the British Maths squad. It looks better than it sounds! The Hunger Games-ish young adult drama continues with Beatrice Prior fighting to save her society while grappling with her inner demons. The ever-grumpy Sean Penn follows Liam Neeson into the ‘older gentlemen who can still kick seven bells out of baddies’ club’, as he travels Europe trying to clear his name of a crime he didn’t commit. It’s by the same bloke who directed Taken too! Rihanna and Jim Parsons (AKA Sheldon Cooper) star in this animated tale of an alien who gets lost on earth and befriends a young girl. Think E.T but a bit more sassy. Jason Statham is Nick Wild, a bodyguard with a massive gambling debt. The only way to get out of that debt? Beat the living daylights out of every mobster in sight, of course! Kenneth Branagh directs this live action remake of the classic fairytale, with Downton Abbey’s Lily James stepping into the glass slippers. 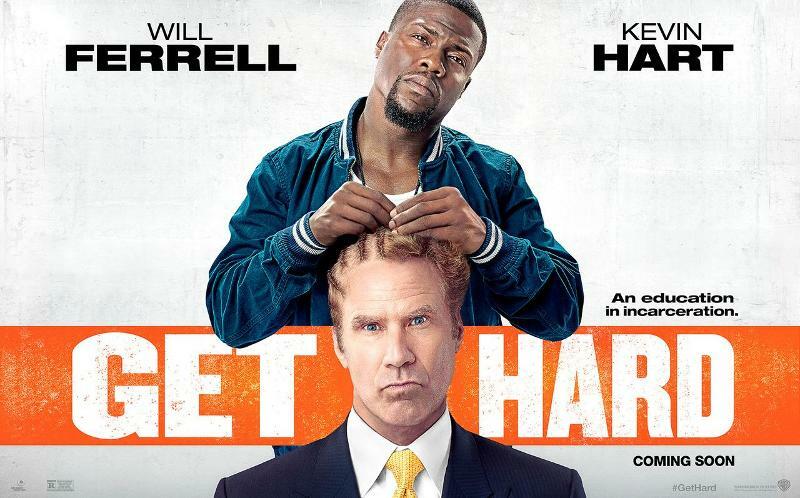 Will Ferrell plays a multi-millionaire bound for a jail after a fraud conviction. His only hope for survival in the big house is the tuition of street-smart friend Kevin Hart. Ben Barnes and Jeff Bridges play a pair of demon fighters pitted against the most dangerous witch in the land. The residents of Bikini Bottom return for their 2nd big screen outing, although they look ever-so-slightly different as they take to dry land to reclaim the stolen Krabby Patty formula from an evil pirate. 2nd March: Sons of Anarchy Season 7, Nightcrawler, Dying of the Light, Pride, Mr. Turner, Love, Rosie.